Well, aside from one’s birthday, does this sort kind of obsessive behavior really ever have a start date? From a very early age I’ve been crazy about comics and radio. I wanted to draw stuff like I Ioved in Mad Magazine, and make radios like the crystal sets like I oogled in Boys’ Life. Yadda-yadda-yadda, now I conduct serious freelance radio graphic business here at jeffk1nss.com, and try to keep the monkey business appropriately sequestered elsewhere. 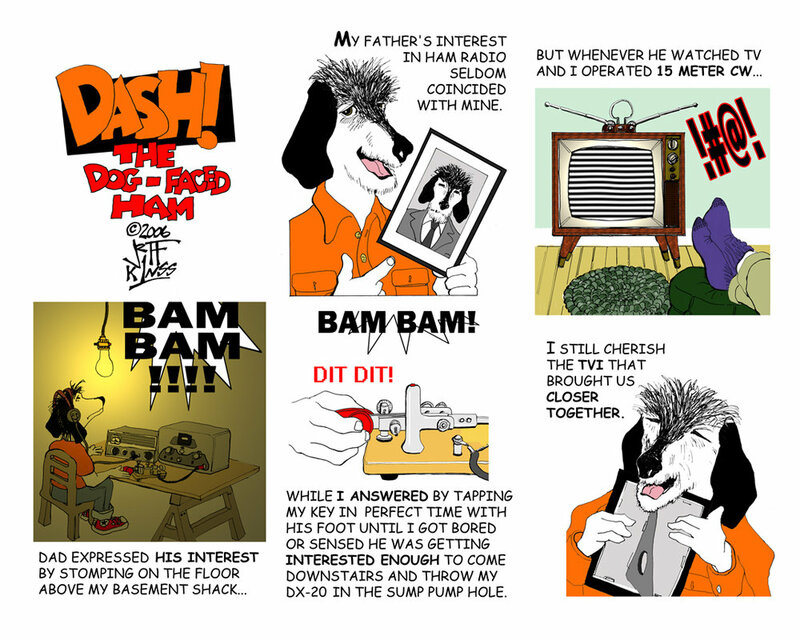 Dashtoons.com is for Radio Laffs, Funnies and Fun, and if you have a taste for that sort of thing. focused on the lighter side of our wild and crazy Life Electromagnetic, click on over. You’ll see what I mean when I say Dashtoons.com is different from JeffK1NSS.com. Different, and yet…well, you’ll see.